One of the wisest persons that ever walked upon the face of the earth said, "Two are better than one." While other put this in the context of marriage, it should also be understood in the context of friendship. How many real friends do you have? Are there people whom you can call real friends? Where do you find those real friends? Some think that best friends are found only in the Christian community but that is not always true. On the one hand, perhaps your best friends are Christians but on the other hand perhaps your worst enemies are also Christians. No wander Jesus said "Love your enemies." When I was growing up, I was told to choose my friends wisely. They told me that my friends determine who I will be. I think that is only half true. You shouldn't limit your friends within the Christian community. There are many non-Christians out there who are not religious but morally upright. Non-Christians are real because they have nothing to hide. There is no need for them to hide behind the facade of religiosity. Haven't you notice that some of the worst hypocrites called themselves Christians? Three things to keep in mind what friendship can offer. Trust means freedom to share and communicate without fear of rejection. When you trust someone you are free to share even your deepest secret and longings or your greatest struggles and frustration. You knew that when you confide to them, they will understand you without malice and condemnation. Where trust is, there is an atmosphere of acceptance. Your friendship creates an avenue for further growth. There are things you learn from your friends that you would never learn from a book or from a lecture. The growth you gain from your friends worth the friendship. I've grown spiritually because of friends' influence, insights, and encouragement. If you surround yourself with friends who are leaders you will soon improve your leadership ability. If you surround yourself with friends who are compassionate you will soon catch their compassionate heart. If you want to influence others deeply invest more time in genuine friendship. 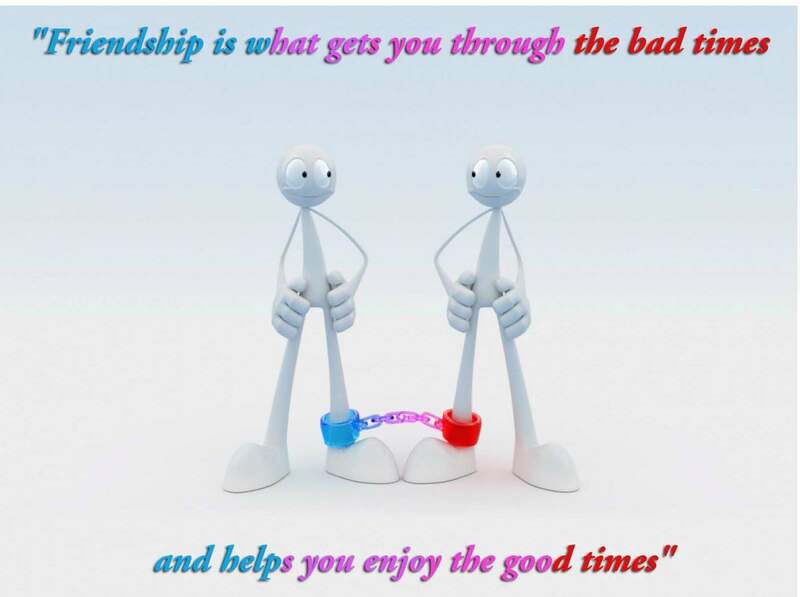 You'll discover who your real friends are when you are in a difficult situation. The people you expect to stay with you may be the first one to deny you. Be prepared because rejection is inevitable in the context of friendship. You will be rejected and denied of help. Real friends stay with you through thick and thin. You’ll be amazed how your friends value you when you are in great need. It is true that money can buy friends but not friendship. Friends who are close to you when you have things to offer may be the first one to back out when you have nothing to give. They are there because of what you can give them. If you have many real friends, you have more support when you are in need. Moral and spiritual support is the greatest support you will need from your friends and they are what your friends needed the most. When your friends are in need, give moral and spiritual support. Financial support is a part but real friends understand when you have nothing to give them. This is what friends are for; give and take, take and give.